Can we detect if a machine is likely to experience a failure in the near future? In machine learning, this is a considered a classification problem because Acme is looking for discrete answers in a data set. Acme's data set would be all of the vibration data collected from the machines. Acme is finding one of two things: the machine is operating normally, or the machine is likely to be experiencing a failure. To determine what’s failing or not, Acme must have enough data in each example to learn from it. Before Acme begins to predict when a machine will fail, they must have a large enough data set that provides examples of when the machines are failing and when the machines are operating normally. A good strategy to do this is to collect data from all the machines running in normal conditions. When a machine fails, we can capture the data during a specific period before the machine failed. This newly sliced data collected becomes my “likely to experience a failure” data set. With a data collection process in place, a complete analysis, and data sets for training and testing, Acme can now build a model to answer the question. Convolutional neural networks (CNN) are typically used to classify images. When a typical image classification model sees an image, it takes a long list of numbers. This list of numbers can be broken into subsets of 3 that represent R, G, B values of a pixel. Then, the model will identify which pixel(s) in that image determine whether or not that image contains the desired answer. Acme will now be able to use this model to predict when a problem is likely to occur on a machine. Along with a percentage likelihood, the model will also output a percentage confidence of the prediction. Acme can combine the confidence and prediction to determine when to perform corrective maintenance on the machine. Overall, this insight on a wide array of machines will give Acme the ability to calculate the health of the entire facility. A requirement of the PdM is to have an automated process from data collection to decision. With a prediction system in place, a reaction engine is needed to make decisions and generate notifications. When a machine reports a vibration sample to the model, the model can decide if the machine is operating normally, or if the machine is likely to be experiencing a failure. When normal, no action needs to take place. 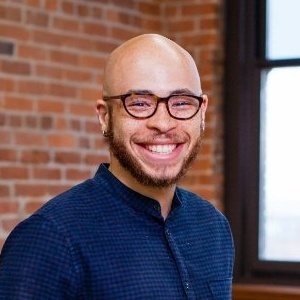 While experiencing a failure, a support ticket can be created immediately to alert the necessary stakeholders. 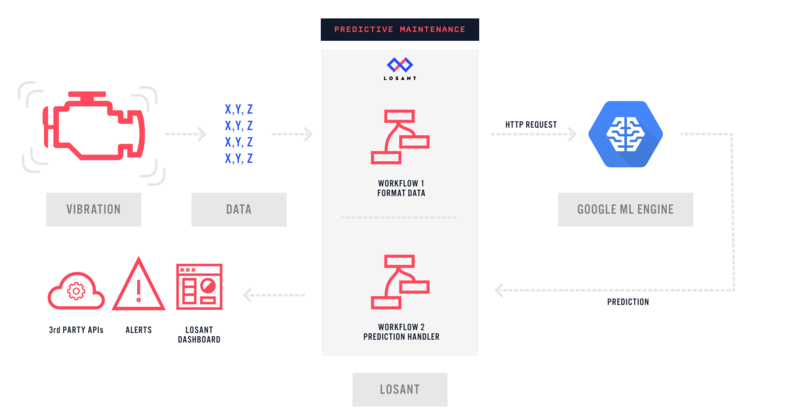 The end solution to Acme's problem and provides the most benefit leverages Google Cloud Machine Learning Engine (Google Cloud ML) and the Losant IoT Platform. Google ML Engine supports training and deployments of TensorFlow models in the cloud. After training a TensorFlow neural network to detect machine failures, Acme can deploy and use the model to make predictions. The hardware attached to the machine is reporting a vibration sample to Losant at a fixed interval. The Acme application in Losant contains a workflow that is listening for the vibration sample using a Device Trigger. This workflow will first reshape the data. Google ML Engine supports running data through hosted models with little latency via an API. 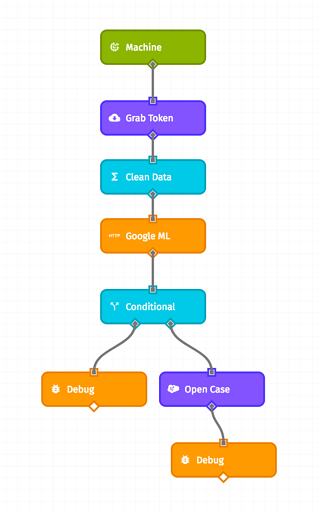 This gives Acme the ability to make an API call directly to the Google ML Engine in the workflow. After a prediction is received, we can decide what to do next. In the example below, a positive result will trigger a Salesforce case ticket to be opened. This system and toolchain support a growing IoT architecture. With Google ML Engine, Acme can continually deploy, re-train, and re-deploy models to gain more efficiencies. Changing business logic or decisions made from the predictions are a simple drag-drop update to the interface in Losant. Additionally, not only can Acme iterate quickly, but Acme can create new models to answer more questions, and the PdM system can scale to support it. If you are ready to improve your predictive maintenance through machine learning, contact us.